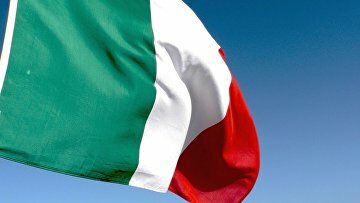 Italy to extradite Russian citizen charged with $9 mln land plot fraud | Russian Legal Information Agency (RAPSI). MOSCOW, February 7 (RAPSI) – Italian authorities have approved extradition of Russian businessman Ilya Sherman charged with land plot fraud estimated at about 570 million rubles (about $9 million), Russia's Prosecutor General’s Office has announced. According to the spokesman of the Prosecutor General’s Office Alexander Kurennoy, Sherman will be extradited to Russia on February 8. Investigators claim that in 2010 Sherman and his accomplices illegally gained a right for acquisition of land plots in the Moscow Region. Under false pretences, they acquired the ownership of two land plots with a total area of 174.5 sq. m worth over 568 million rubles, the statement reads. Following that, Sherman fled Russia and was put on the international wanted list, Kurennoy told journalists. In April 2018, the businessman was arrested in Italy. 16:03 07/02/2019 Italian authorities have approved extradition of Russian businessman Ilya Sherman charged with land plot fraud estimated at about 570 million rubles (about $9 million).